Indian cookery doesn’t have to be complicated, and it needn’t take a long time. If you’re good at chopping things up, you could have this chickpea curry on the table in about twenty-five minutes, for under about £3 for four servings. The building blocks of the curry go into the pan first. Heat some vegetable oil in a large pan and add a teaspoon of cumin, and when it starts to hiss and pop, add a quarter teaspoon of turmeric, one and a half teaspoons of roughly ground coriander seeds and up to one and a half teaspoons of mild chilli powder. My chilli powder is not mild at all, so I pared this back to a little under half a teaspoon, and on the second run through of this recipe, it was far too hot for some, so be careful. Work quickly, stirring the spices around so that they don’t catch, then add a chopped red onion, four chopped cloves of garlic and a two and a half centimetre chunk of fresh ginger, finely chopped. You’ll need a proper bunch of coriander…a little rooted pot of forced coriander from a supermarket isn’t good enough – it will lack both quantity and taste. A proper, big bunch from an Asian store is the only way to go here, just make sure that its washed properly…coriander can be quite gritty. The most flavoursome part of the coriander plant is the stalk. Chop them very finely and add them to the pan. Stir everything around for a minute or so, and season well with salt before reducing the heat to a very low setting and covering. Leave the vegetables to sweat gently for twenty minutes, stirring every now and again. Next, the sauce. Drain the juice from a 400g of tomatoes and add them to the pan. Cook on a medium heat, crushing the tomatoes until they cook and melt into a rich sauce. Drain a 400g can of chickpeas and rinse them well under running water before mixing them into the sauce. Stir, and allow the chickpeas to warm through for a few minutes before adding a huge handful of chopped coriander leaves and serving with rice or chapatis. Cheap, tasty, quick and simple, as long as you go easy on the chilli. This recipe looks delicious! Chickpea curry used to be one of my favourites, however I think I have forgotten about it slightly! This looks fantastic! And I agree, Indian food does not have to be complicated. Also, if you if you like your chick peas soft and fluffy a little tip is to boil off some raw ones or cook them in a pressure cooker. Your blog is lovely. Really and truly! I love chickpeas, I toasted some up the other night just for a snack. A little cumin, chili powder and garlic powder—yum. I'm going to have to give this a try. I love chana masala! I always order it from our favourite Indian restaurant but I've never made it. This looks delicious, definitely on the to make list, thanks!! Looks wonderful! I make chana masala quite often because as you said, it is so easy, but every attempt at photographing it has been unsatisfactory. 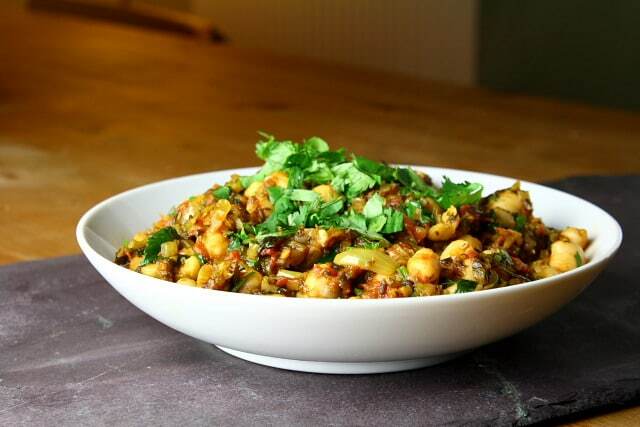 This chickpea curry looks so delicious and fresh. Love all the flavors too! It looks so delicious 🙂 love your pictures! I am a sucker for a good curry dish and your photos of this recipe drew me right in … looks sooo delish! That 25 minute start to finish thing is a real draw too! 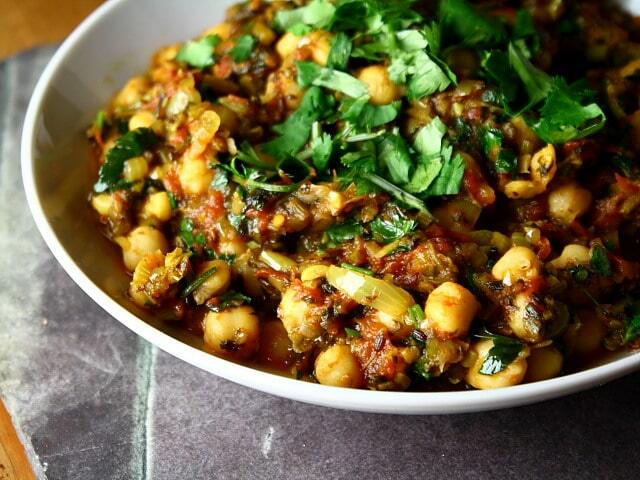 Chana is my favorite Indian dish and your version sounds wonderful! I love cooking Indian food but have not tried this one yet. Looking forward to it! These pictures are fabulous! How do you do it?!? I love your blog and can't wait to try so many of the recipes you have here! !